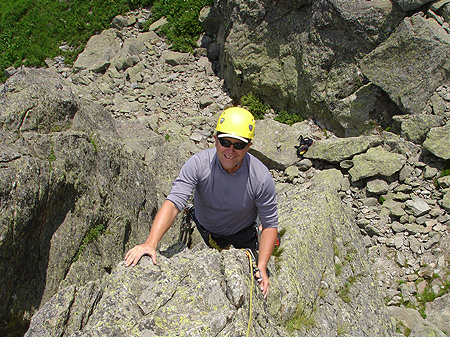 Photo #1: Roody is the president of Petzl America and while in France on business, we managed to squeeze in a few climbs. Day 1 saw us climb at the Aiguiette d’Argentiere. 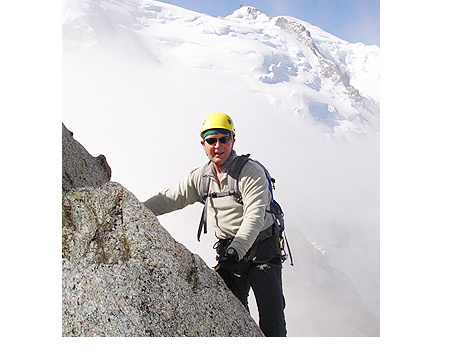 It is a nice hour long hike in with a great view of the Chamonix Valley . Here we are enjoying the view and just hanging out, climbing together and catching up. 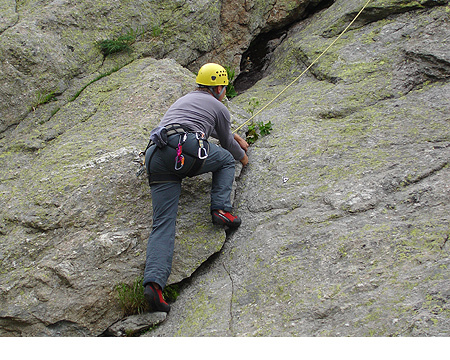 Photo #2: Roody climbing the ridge up the Aiguiette d’Argentiere up an historic route first climbed in the 1800’s. 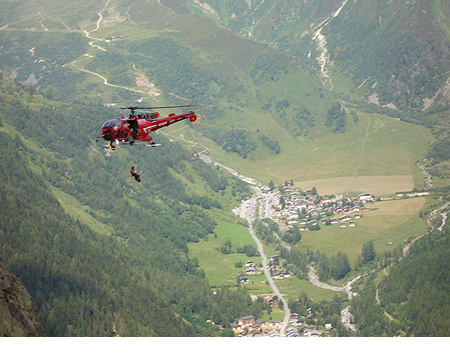 Photo #3: We participated in a rescue when a not helmet wearing climber who somehow created so much rope drag they could barely progress forward, pulled off a good size piece of rock that grazed over his head leaving a deep laceration. They came and got him within minutes and he walked over the Heli loading zone. As you can see the heli couldn’t land so hoisted the medic and patient up into the heli. Photo #4: After a brief interlude, we were back at it on a nice layback. 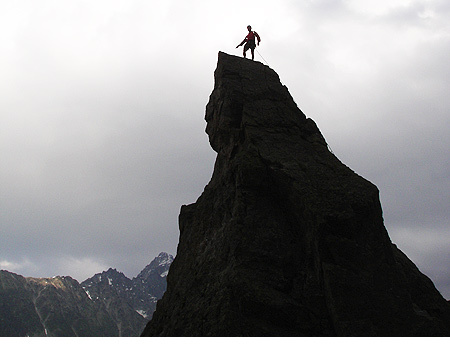 Photo #5: Here is a climber on the summit of the Aiguiette. 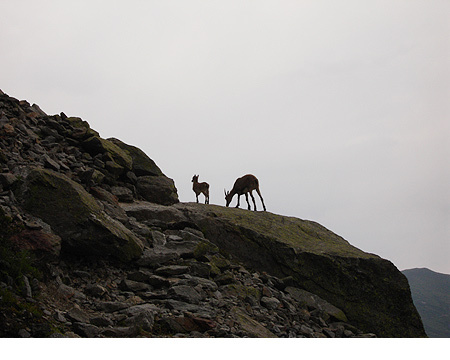 Photo #6: Here are other climbers of sorts, mommy and baby Chamois. 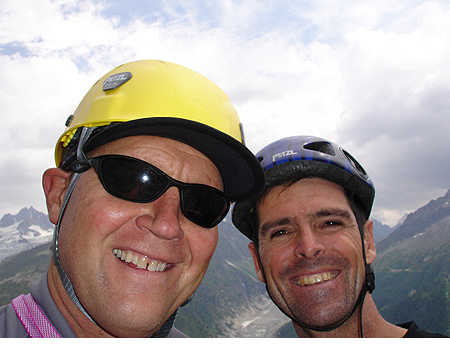 Photo #7: Roody and I climbed the Arete des Cosmiques the following day and had beautiful weather. 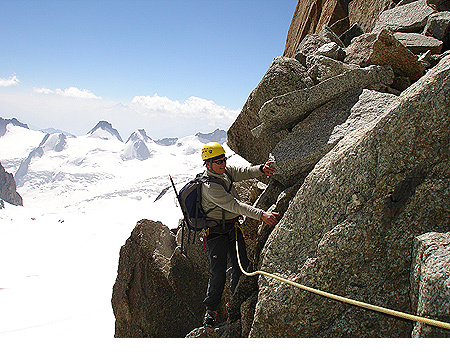 Photo #8: We climbed most of the route in crampons, rock and snow. It is an alpine trick to leave them on rather than constantly taking them off and putting them on as you get to rock or snow. Photo #9: Around the corner. What views! 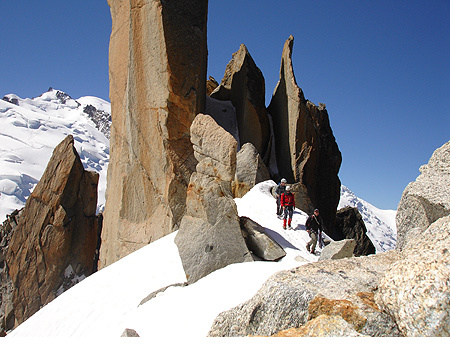 Photo #10: The classic fin shaped spires of the Arete des Cosmiques. 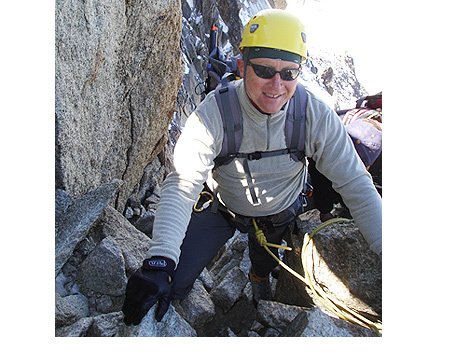 Photo #11: Climbing the final chimneys to the summit. 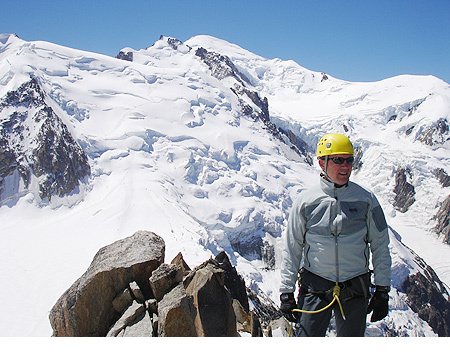 Photo #12: Summit shot with Mont Blanc in the background. 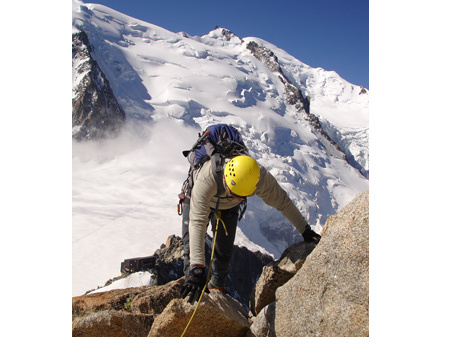 Eventually we did take off our crampons for good, but had grown accustomed to them even on the rock. Sometimes you actually have better traction, even on rock.